The proper display of freshly harvested seafood makes a huge difference in consumer approval, in sales, in reduction of drip loss and shrinkage, and for food safety. Promolux lighting contributes to the ocean-fresh merchandising in your seafood displays, show off the natural colors, extend shelf life and minimize the risk of unsafe bacterial growth. Though regular LEDs have less IR and UV radiation than other light sources, they still damage seafood through photo and lipid oxidation. 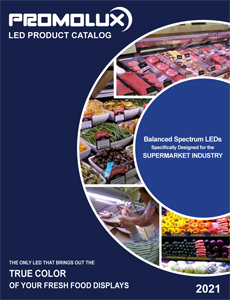 Promolux is recognized as the pioneer in R&D of food-safe lighting, and our products have been tested by independent laboratories and proved to be safer for seafood display: protecting natural colors against photo oxidation, preserving the taste by reducing lipid oxidation, and extending shelf life through its balanced spectrum technology. 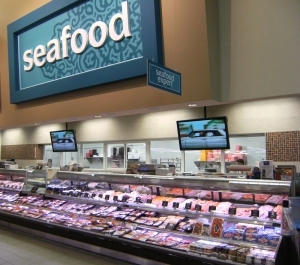 In retail seafood display cases, Promolux lamps allow you to show off the full range of the color palette of vibrant pinks and oranges of fresh salmon steaks and fillets in contrast with white of cod and tilapia fish; the creamy colors of scallops, the silver hues of mackerel and whole fish; the deep colors in shell fish, the greens garnishes such as parsley, all while keeping the ice beds crystal clear. 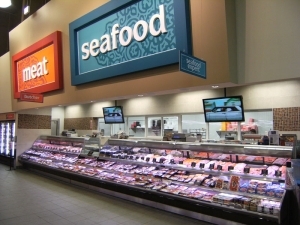 Seafood professionals know that fish easily discolors and dehydrates under regular lights – making the fresh display less appetizing and reducing its weight and value. Using improper lighting causes the natural fats found in seafood to prematurely oxidize, contributing to the ‘fishy’ smell that turns away customers. Using Promolux balanced spectrum, food-specific lighting reduces photo-oxidation and ensures your seafood maintains that ‘fresh from the sea’ aroma as long as possible. 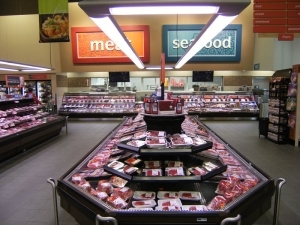 Specify Promolux lighting in your refrigerated seafood display cases and discover the most valuable merchandising advantage for seafood displays enjoyed by thousands of retailers worldwide! Seafood should always have that “fresh from the sea” aroma – not a “fishy” smell. 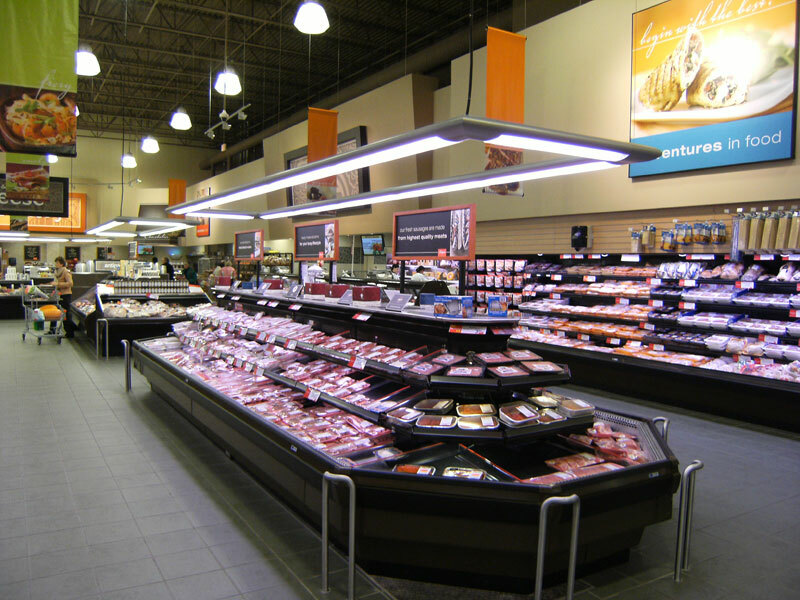 Promolux lamps provides that fresh, just harvested appearance that customers reply on when choosing their preferred fish and seafood retailer. Promolux’s proprietary seafood lighting brings out nature’s freshest colors in all varieties of whole or filleted fish, shrimp, clams, crabs and lobster. Ice beds remain a sparkling white and we invite you to do a side by side comparison and decide with your own eyes (just like your customers will). 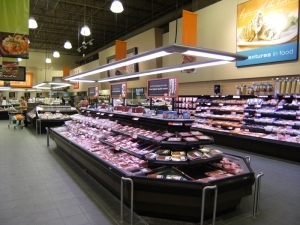 When seafood is displayed in prepackaged self serve cases, Promolux lighting provides the right canopy and under-shelf lighting that is bright enough after the front row of merchandise has been sold. When it comes to fresh seafood merchandising and protection there is simply no other lamp that can compare to Promolux.